Best and worst credit cards for travel insurance: what's covered? Is free travel insurance with credit cards as good as independent policies -- and how do different cards' coverage stack up against each other's? We've spent a solid week reading the travel insurance policies provided by banks and credit card companies like American Express to find the best and worst policies available, as well as identifying "gotchas" in the policies with each card issuer. We were surprised at how good the travel insurance coverage on some credit cards was compared to stand-alone policies. For example, most travel insurance policies you can buy from a travel agent or online do not cover cash -- or only a very small amount like $100 - $200. Credit card travel insurance, in general, covers up to $500 of cash per person, with a maximum of $1000 for a family. Luggage and personal items can be well covered on credit cards too. We discovered that Commonwealth Bank's Platinum card travel insurance covers up to $15,000 per person, with a total of $30,000 for all family members. The per-item claim limits on this card are also terrific -- $5,000. Standalone travel insurance policies quite often have limits as low as $2,000 for your baggage, which goes to show that it's certainly not a cut-and-dried fact that standalone travel insurance is superior to the freebie included with your credit card. Credit cards also often include additional insurance policies that are considered separate types of cover to international travel insurance, so you wouldn't get them with a regular travel insurance policy. One of these is transport/transit accident cover. If you purchase the ticket for plane, train, bus or ferry on your credit card you will generally be insured against death or debilitating injury for a very high amount, such as $1,000,000 for the death of a cardholder (in the case of Commonwealth Bank Platinum and Gold cards) or $750,000 for both cardholder and spouse (ANZ Platinum). Regular travel insurance generally only pays out normal accidental death benefits of around $25,000 - $50,000. Some credit cards, particularly platinum ones, also offer a limited amount of domestic travel "inconvenience" insurance. This is like a mini travel insurance policy but with lower claim limits than if you were to buy a dedicated policy. However, it's well worth considering a platinum card just to get this because it usually includes rental car excess reimbursement within Australia, as long as you pay for your domestic travel ticket costs including the car hire on your credit card. Like all insurance, there are plenty of loopholes and get-outs for the insurers. A favourite trick we noticed when reading the policy was stating a generous claim limit in one part of the policy and then listing a series exclusions many pages back. It's therefore incredibly important to read your travel insurance policy in detail, from cover to cover before going on a trip. Yes, it's also incredibly boring -- and after a week of poring over these policies we have complete empathy for people who find this a difficult thing to do! The biggest catch with credit card travel insurance is that you'll only be covered if you paid for some -- or all -- of the international air tickets on the credit card, which is considered a trigger for the "activation" of the travel insurance. You have to make sure you activate the insurance. It's very easy to forget this if you leave a cash deposit with a travel agent, decide to pay via BPAY to avoid outrageous credit card surcharges from the airline, or are travelling on frequent flyer points (though some credit cards do cover these, but generally only if booked through the bank's own internal reward program). This limitation means credit card travel insurance policies are pretty useless for corporate work-related trips which are usually arranged through an outside travel management organisation and invoiced back to your company, not paid on your personal credit card. Some banks are a bit tricky with their qualification rules. Commonwealth Bank will cover trips that you've paid 90% of the trip cost on their card (including flights/accommodation/other prepaid itinerary items) or $950, whichever is higher. As a result, you might not be covered for cheap holidays to popular spots in the Asia Pacific region where your pre-booked flights/accommodation/tours add up to less than $950. The best card for the most affordable travel insurance is ANZ Platinum (ANZ does not market gold cards any more). This provides the lowest bar to qualifying for travel insurance: you only have to put $250 worth of trip related expenses on their Platinum credit card to qualify for coverage, which means you could easily be covered for a work trip or a trip you've paid for airline tickets via BPAY or reward points. If you're going on a long trip, choose your card carefully. Credit card insurance is often only valid for three months, and unlike stand-alone travel insurance policies, can't be extended. Some policies are particularly tough on this. For example, ANZ Platinum travel insurance provides coverage for a trip of up to six consecutive months, but if at any point you change your itinerary to extend it beyond six months, insurance coverage immediately ceases -- not just for the part after six months. However, the trip length limits on credit card travel insurance is still pretty generous in general -- gold cards usually offer three months and platinum cards usually six months. For most business and personal trips that's more than enough. The best card for long trips is Commonwealth Bank Platinum which offers coverage for trips of up to 12 months. All the other cards we reviewed drew the line at six monhts. Baggage/property cover - is it what it seems? A reasonably high dollar value for personal property in a travel insurance policy may not be what they seem. Most credit card travel insurance policies we looked at specifically exclude lost items -- meaning that they only cover theft or damage. Look out for wording like: "we will not pay for items left behind, forgotten, or misplaced". Credit card travel insurance also won't pay for valuables put into checked luggage, or 'brittle/fragile' items except cameras and laptops. And almost no credit card travel insurance policies include items owned by a business, or stuff that you have borrowed from someone else. The best card for baggage and property cover is Commonwealth Bank Platinum, which permits $15,000 per person and $30,000 for a family. See our review of this card for the exclusions –- they're considerable, but no worse than any of the other cards and the Commonwealth Bank didn't have any particularly unfair exclusions. One of the gotchas with transport accident death payouts is that while insurers may state a high limit per person (such as $1,000,000), they also say that if numerous (unrelated) cardholders and their family members are killed in the same accident, the insurer will not pay out more than a certain combined total. For example, if 10 Commonwealth Bank Gold cardholders were killed in a plane crash, their estates would only get $130,000 each, because CBA's insurer has a limit of $1.3million for all claims of this type in total. The main benefits sometimes only apply to the cardholder, with reduced amounts payable to family travelling with them. There are also limitations on what constitutes a "dependent child" travelling with you -- generally the maximum age is 19 years, though some insurers increase this to 25 years if they are uni students. The basic upshot here is that while you and your spouse are almost certainly covered by credit card travel insurance, other adult family members travelling with you will have to get their own travel insurance. Rental car excess reimbursement is a popular aspect of credit card insurance policies, as it allows cardholders to avoid paying the per-day excess removal or reduction option charged by credit card companies. However, relying on the summary list of benefits by a credit card company could leave you high and dry. NAB, Commonwealth Bank and St George have the following nasties in their credit card travel insurance: it will only pay the car rental excess reimbursement if you were driving a sedan or stationwagon (not hatchbacks, 4WDs, campervans or other common rental car types). NAB further adds: only if you have accepted all insurance options from the car rental company -- including, presumably, the excess reduction option. Westpac had the best coverage with rental car excesses -- gold cards provided $5000 without restriction while overseas, and Westpac Platinum cards provided $5500 rental car excess coverage both while overseas, or in Australia. Although the travel insurance policy may be "free" with your credit card, if you need to claim on it you might find it's very expensive indeed. The worst excess we saw in our investigation was $500 for some types of claim on an American Express Platinum Edge credit card travel insurance policy. The best card for a low excess is ANZ's Platinum credit card insurance, which charges no excess apart from $200 for medical or luggage claims. One area that is quite good in credit card travel insurance is medical insurance. All the cards we looked at covered worldwide medical costs, and most offered at least $1,000 worth of emergency dental work to relieve pain if you need it. However, American Express Platinum Edge travel insurance only provided coverage for medical costs up to $2.5million, with a particularly horrible catch -- they will only pay medical costs of more than $1,500 if first approved by them. Given the 24 hour advice lines provided by travel insurers are outsourced and they in turn need to contact the actual insurer before they can approve anything, this could be a big problem if you're seriously injured, or even become very sick on a weekend or overnight Australian-time and need urgent treatment exceeding $1,500. The major difference between the other credit card insurance policies is how much they will pay for your daily costs while in hospital such as TV rental, purchased meals, etc, (some offer only $50 per day, while others offer up to $100 per day), and whether they'll pay you for income you've lost because you've been unable to work. Another important difference is how the banks' insurers handle pre-existing medical conditions. Some credit card travel insurance policies -- such as those from NAB and American Express -- simply say they will not cover pre-existing medical conditions. Others are more generous; ANZ Platinum automatically covers a number of common medical conditions such as type II diabetes, asthma, epilepsy and more -- and will consider others on application. Of course, all the other 'gotchas' with travel insurance apply. Insurers may only reimburse for lost or stolen items if you have filed police reports within 24 hours, and only if you can provide original purchase receipts to prove ownership. Insurers often slip the word "reasonable" in throughout policies, too -- reasonable medical expenses, reasonable meal and accommodation expenses after a travel delay, and so on. Just because you think something is reasonable doesn't mean the insurer will agree -- so look for policies where the definition of "reasonable" is listed. Be sure to also read our recent article Top 10 tips for getting the best travel insurance. Why: very low barrier to qualifying for the travel insurance ($250 of travel costs paid on the card); no excesses for most claim types; excellent medical coverage with automatic coverage for many common pre-existing medical conditions; good accidental death benefits; good baggage/property coverage if you're only travelling with clothes and electronics and leave valuable jewellery at home; reasonable rental car coverage; good travel delay coverage. Why: coverage of trips up to 12 months; best baggage/property coverage; good income protection; excellent accidental death benefits. Why: good income protection; excellent accidental death benefits; good baggage/property coverage; good rental car excess coverage. Out of all the cards we reviewed, American Express Platinum Edge stood out as by far the worst. Why: American Express won't pay medical claims over $1,500 unless they have approved them first (and medical coverage is not unlimited like most cards); the excesses is up to $500; there's no reverse-charge number to call worldwide; no missed connection coverage (often a cruciual issue for business travellers); no income protection or cover for general accidental death; low per-item claim limits for property; and no rental car excess coverage. I just want to clarify that you only have to pay 90% or more of your ticket if the return tickets cost below $950. For example if you are traveling to Bangkok and return tickets cost $600, you've to pay $540 or more and you are coverd. And in case your return tickets cost more than $950, you only have to pay minimum of $950. For example your around the world ticket costs $4600. You only need to pay minimum of $950 and you are covered. (b) 90% of each of the cardholder's, spouse's and dependent child(ren)'s return overseas travel ticket(s)"
I've called the bank to clarify. I think this card is great for around the world travellers. "As it is a personal credit card, business travel is not covered by the policy. As stated below, if a claim arises specifically out of work or business, for example injuries related to work or loss of business items, there is no cover. However, if an eligible cardholder is making a claim that is not linked to their work, for example they break their leg on a weekend when not working, they would still be eligible for cover as the policy does not exclude this situation." On page 20, as part of the exclusion section, it states employment or work, including not being able to take leave from that work is not covered by the policy. If you are claiming specifically due to work commitments, or another event related to your work, there is no cover under the policy. However, if during your travel you incur a cost that would normally be covered by the policy, which is not related to your work overseas, you would still have provision to claim for that event. remember that in the USA with rental cars there's no such thing as an "excess". you either pay 100% of the damage/theft or you pay nothing (if you take a loss damage waiver LDW). so if your travel insurance covers rental car excess you MUST still buy the LDW for rentals in the USA! Dan, Im a little confused. I have the following problems with my Husbands Credit Card and Travel Insurer Cover More International policy. My Husband passed away while on Business. American Express Corperate Card all Qantas flights bills are invoiced to Head Office in The United States. This then EXCLUDES Death Benefit. AMEX state bills need to be paid in Australia to qualify for this benefit. Cover More Travel Insurance. They advise me that Death Benefit is not a Payable Item' of ($25K $50K or $100K) depending on policy taken out, but aN amount they will pay UP TO in claims up to, relating to Death. This is NOT how I read their policy. Does Death BENEFIT Mean : Is it a Payment to the Estate of a Certain Amount ($25K $50K $100k ) AND OR is it related to the cost's incurred, they will cover upon Death?. They have paid for cremation cost's and some incidentals. Im about to lodge a Loss of Income claim with them. Overall the consultant I have been dealing with has been fantastic, and I would certinaly reccomend their Insurance, Im now confused about how the Policy is worded. I assumed it was a Death Benefit payment- a set payable amount, upon Death to use how ever you wish. The Insurer would ALSO be covered for Death Related Items such as returning deceased to Australia, not Funeral Costs. Either Or, is what they have told me. Hi Dan, I have paid for my travel with part ANZ Platinum visa and part Westpac Altitude visa. I have decided to hire a car to get to the airport which card should I use to pay for the rental car? In the ANZ pdf it says. " We will reimburse you for any amount of any collision excess that you have paid under any vehicle rental agreement" but straight after it says "We will not pay for the collision excess, where the full amount payable by you under the vehicle excess agreement for damage to the vehicle is more than the collision excess. Can you expain what both statements mean and whether I'm covered. From what I've read in the Westpac pdf, my Altitude Platinum card does not cover me at all for a rental car? to cover the cost of the assessment." ANZ' Platinum free travel insurance policy lists all the pre-existing medical conditions under "Definitions"
1. Losses arising from any Pre-existing Medical Conditions are not covered." I do know however, that with a paid travel insurance eg through AMEX (Allianz), they do cover some pre-existing conditions. It seems to me that with the free travel insurance policies offered by some credit cards are only good for those with no pre-existing medical conditions and in order to be covered by travel insurance, a premium has to be paid. Will any travel insurance company provide free travel insurance for a person who has pre-existing medical conditions? Would appreciate a reply. Thanks. The BankWest complimentary travel insurance for platinum cards defines "return overseas travel ticket" as "a ticket from and returning to Australia". If I purchase my FROM and TO Australia tickets via airline online booking systems, i.e. I dont have ONE return ticket, instead, I have TWO one way tickets, one being from AU and the other to AU, will I still be covered by the complimentary travel insurance? You do not refer to the problems of credit card medical insurance for the over 80s. I hold a platinum CBA credit card and until September last year there was no age limit for medical insurance. As I will be 85 shortly this is of concern to me as I spend a great deal of time in Bali and plan to travel elsewhere to visit family members in USA and Mexico later this year. I spent considerable time emailing my questions to Dan.. Never to receive a reply! 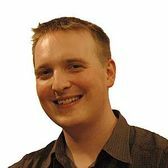 Hi Kathleen: Dan does indeed exist but he no longer works at AusBT. We don't have the resources to answer follow-up questions on this article. Any questions about travel insurance with regard to a specific credit card should be made with the issuing authority for that credit card. I hereby bump ANZ down to the bottom of the list. This article is old and needs updating. Do not rely on it. Do read the PDS. To activate the ANZ policy you need to "have charged the full cost of any trip to the participating card account"
ANZ heavily depreciate the value of proeprty when making a claim (i.e. a claim for $700 camera after 3 years would pay out $350). I have an ANZ Platinum Visa card which has Travel Insurance and Medical Insurance attached. I am moving to another provider and I notice that most only have TRAVEL INSURANCE. As we go skiing for a couple of months every year it is important to be covered in case an accident were to happen. Are the other cards going to do this or is the cover simply whilst one is getting from point A to point B? This is something which was not really well covered in the 2 policies I read. Very intresting the artical on credit card travel insuance. It said you need to pay some or all of the international air travel on your cedit card. The CBA platinum policy says.At least A$1,000 of his/her prepaid travel costs eg costs of return overseas travel ticket; and /or airport/departure taxes;and/or their prepaid overseas accommodation/travel;and or other prepaid overseas itinerary items.pain for by one or a combination of .Commonwealty awards points or eligible credit card. I noticed that Designed 4Travel has given a long account from obvious detailed analysis of the ANZ Terms and Conditions and as a result has a -5 against his post. Please explain. Is this because Designed4Travel is incorrect or because ANZ has had its staff canabalise something they do not like as opposied to being incorrect? Please give a response to this poster's response. This article was written 2011, and as such, the content isn't likely to be current. The voting system allows any registered user to upvote or downvote each message once. Casual users browsing the site cannot vote on comments. For up-to-date information about coverage, it's best to contact your insurer or the credit card issuer that facilitates the coverage. Thanks for the clarification. propbably time for you to update the article lest it be useless because of age. I notice my post on 8/5/14 got 2 negatives. I cannot even think why and it sounds very much like my bank does not appreciate my being fed up with some of its practises. Sad if this is how its employees respond. I hear what you are saying but perhaps you need to vet who some of the down votes are coming from. Given that Designed4Travel gave an account using information from the ANZ pdf you have to agree that the post was not unfactual. With that in mind the 5 negatives are clearly from the bank. You need to regulate propaganda posts. Read your interesting article about credit card travel insurance. I recently paid for a flights to hawaii with my anz gold visa card. Does this card cover me travel insurance? Just got back from Japan after being stranded for THREE (3) days/nights in Tokyo due to blizzards/snow and missed connections. Amex Goldcard cover (all airfares purchased on Amex) limits TOTAL out of pocket expenses/food/accom REGARDLESS of duration of your lay-up to $200 !! As you say, I could not contact them (it was outside business hours) when we got stuck, but when I got home I contacted ACE (the Amex underwriter) and was told total they would pay was $200 no matter how long I was stuck. Hands up who can stay in Tokyo on $200 indefinately !! You get what you pay for, and the AMEX "complimentary" cover is free for a reason. I have purchased a flight tickets to Japan for Mar 2016 by my St. George platinum card. But now I want to close that credit card, will the travel insurance for that trip still be effective? 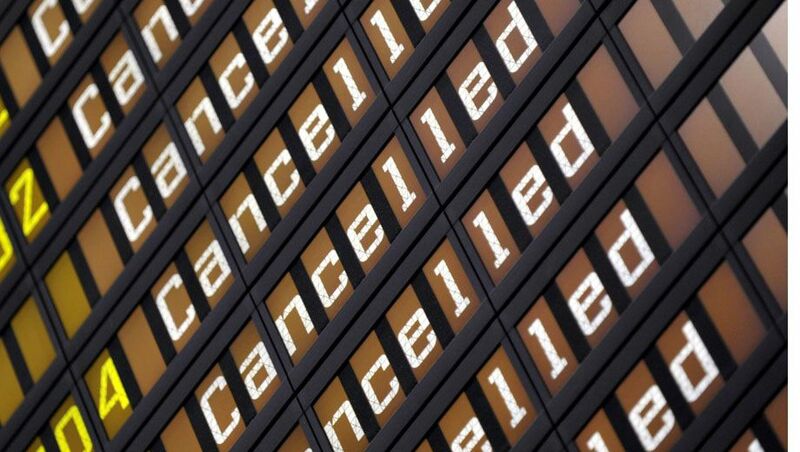 Comment on "Best and worst credit cards for travel insurance: what's covered?"